Dr. James Thompson is a dedicated and reliable OB-GYN in Perry Hall, MD. Dr. Thompson obtained his medical degree from the University of Maryland. He also completed his residency from MedStar Franklin Square Medical Center. 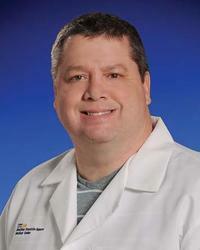 Dr. Thompson is a gynecologist at Women's Care Honeygo, where he sees patients for pap smears, annual gynecology exams, and various other specialized reasons. Dr. Thompson is affiliated with MedStar Franklin Square Medical Center in Baltimore, MD and is certified by the American Board of Obstetrics and Gynecology. Dr. Thompson conducts his appointments with the personalized care and attention that he would expect for his own family. Dr. Jiloca sees patients for pap smears and annual gynecologic exams, and various other specialized reasons. Dr. Jiloca is uncompromising in her dedication to the well-being of her patients. She is committed to giving the best care and establishing long-lasting relationships with them. Steven Lenowitz, MD, is a board-certified obstetrician and gynecologist with over 30 years of experience in his field. Part of MedStar Franklin Square’s Women’s Care OB/GYN at Honeygo practice, he cares for women of all ages, specializing in the treatment of infertility issues and urogynecologic disorders. He applies advanced operative laparoscopy and advanced robotic assisted laparoscopy skills in the operating room to optimize patient experience as well as outcomes. Prior to joining Women’s Care OB/GYN at Honego, Dr. Lenowitz was in private practice. He earned his medical degree at the University of Guadalajara School of Medicine, located in Mexico. He then completed an internship and clinical residency program, concentrating on obstetrical and gynecological care, at Maryland General Hospital. He is a fellow of the American College of Obstetrics and Gynecology, and a Diplomat of the American Board of Obstetrics and Gynecology. Additionally, Dr. Lenowitz has served as a primary investigator for several medical research projects, throughout his career. Jessica Abernathy is a certified registered nurse practitioner and certified nurse midwife for the practice. She is a graduate of Villanova University, where she earned a bachelor of science in nursing, as well as Vanderbilt University, where she completed a master of science, also in nursing. Ms. Abernathy then went on to secure post-masters certificates at Georgetown University as well as Wilmington University, where she is currently pursuing the school’s Doctorate of Nursing Practice Program. Complimenting her years of clinical experience, Ms. Abernathy has also conducted extensive medical research in her field, serving as a sub-investigator or principle investigator on numerous projects designed to expand and improve care for women and children. She is certified through the American Association of Nurse Practitioners, the American Midwifery Certification Board and the National Certification Council for Women’s Health Nurse Practitioners. To schedule an appointment, please call 443-725-2140. Monday and Thursday: 8 a.m. - 4:30 p.m.
Tuesday and Wednesday: 8 a.m. - 7 p.m.